Be the first to share your favorite memory, photo or story of Rocco. This memorial page is dedicated for family, friends and future generations to celebrate the life of their loved one. Rocco J. Carlucci, a longtime resident of the area, died unexpectedly at home on April 8, 2019. He was 67 years old. One of eight children, Rocco was born on June 4, 1951 to Virginia Hope Timmons and George Carlucci in Massapequa, Long Island. Rocco graduated from Orange County Community College as a Registered Nurse. He used his talents to co-found and administrate the Carlucci Home, a nursing facility for senior women. 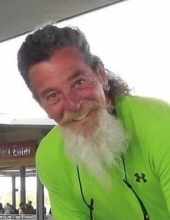 He will be remembered for his smile, his cheerful attitude and his willingness to be helpful to anyone in need. He was an old soul who gladly mixed with all ages. He had a unique ability to chat with anyone. With a kind word and quick smile for all, he never met a stranger. His joy was seeing others smile, brightening another’s day, and connecting with kindred souls. He thrived in his element, enjoying his interactions with the ladies and staff of the Carlucci Home, where his daily presence will be notably missed. He is survived by his wife, Jennie Carlucci, children Jennifer & Jason Klein and Mary & Rocco Carlucci as well as five grandchildren; Rocco, Sabino, Vitalia, Vito Carlucci and Ian Klein. Visitation will be held Saturday, April 13, 2019 from 10 A.M. to noon. A Celebration of Life will take place at noon at Applebee-McPhillips Funeral Home, 130 Highland Avenue, Middletown, New York. Funeral Arrangements are under the direction of Applebee-McPhillips Funeral Home, Middletown, New York. To send flowers or a remembrance gift to the family of Rocco James Carlucci, please visit our Tribute Store. "Email Address" would like to share the life celebration of Rocco James Carlucci. Click on the "link" to go to share a favorite memory or leave a condolence message for the family.